It is always advisable to insulate your walls with Energy Savers. You'll immediately benefit from increased comfort and energy savings. Before installing wall insulation you may want to investigate materials and techniques. In an existing home, it's generally wise to find out exactly where all of your blown-in insulation is. Why Should You Insulate with Energy Savers? Insulating the wall increases its thermal effectiveness. 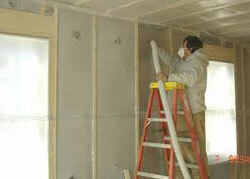 Thermo-Kool insulation is a spray-in-place, energy-saving cellulose insulation. Using it eliminates the voids and air pockets common with other insulation materials. 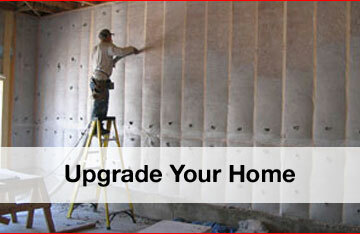 Using cellulose insulation instead of fiberglass can help you save significantly on your heating and cooling bills. 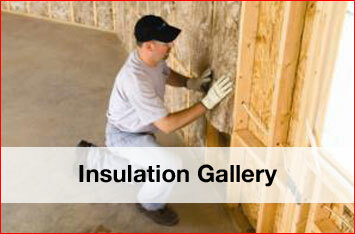 Batt insulation cannot be fitted tightly around wall inclusions, such as pipes, wires, and electrical boxes. Cutting a batt to fit and pressing it around plumbing and electrical details creates gaps and depressions that seriously degrade thermal performance of the wall. Dense-packed or sprayed cellulose insulation fits around everything in the wall, creating a tight, uncompromised thermal barrier. 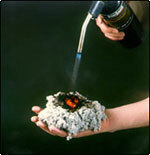 Thermo-Kool’s excellent fire-retardant characteristics are due to the use of a 100% boric acid formulation. 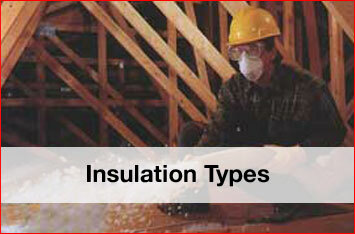 Borates are natural compounds that are harmless to humans when included in cellulose insulation. The chemical make-up of Thermo-Kool cellulose insulation resists fungal growth. Since fiberglass contains no fungicides it often becomes covered with mold that feeds off of the dirt and dust that collects in it. Dense packed or sprayed cellulose fits around everything in the wall, creating a tight uncompromised thermal barrier. Investing in wall insulation pays for itself with savings on the heating bill. Call us at 907-373-6888 for more information. We serve in and around the Mat-Su area, including Wasilla, Palmer, and Anchorage, AK.